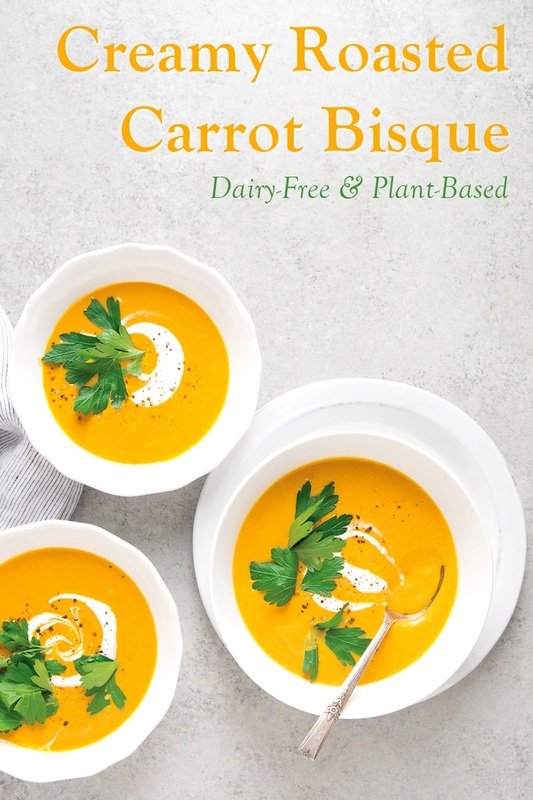 It’s spring, Easter is on the horizon, and I couldn’t think of a more perfect dish to celebrate both than this dairy-free roasted carrot bisque. 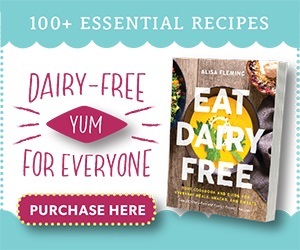 It’s a delicious and nourishing sample recipe from my cookbook, Eat Dairy Free: Your Essential Cookbook for Everyday Meals, Snacks, and Sweets. I’m all about options. 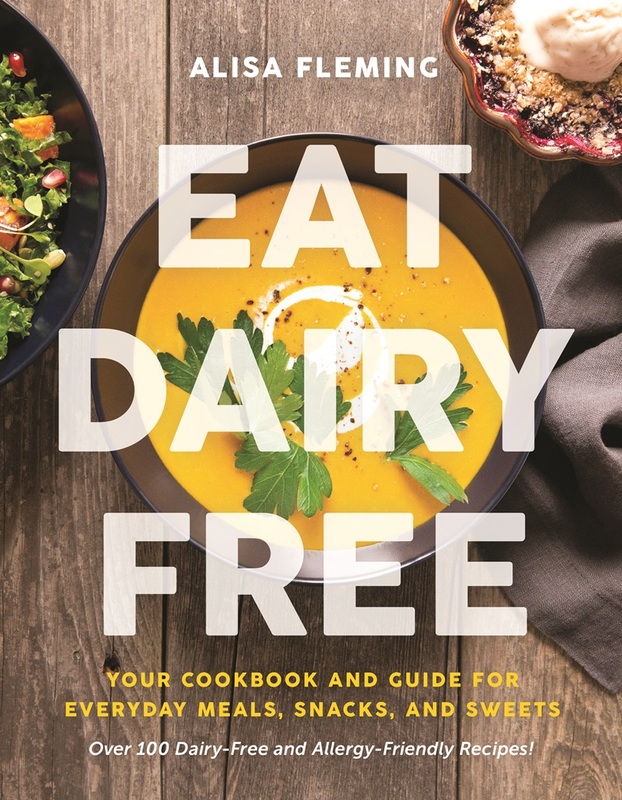 In Eat Dairy Free, you’ll find gluten-free, peanut-free, and soy-free options for every single recipe. 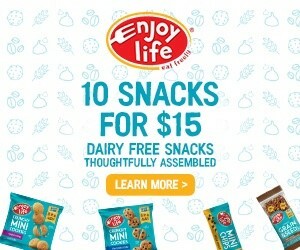 You’ll even see nut-free and plant-based options for most of the recipes. 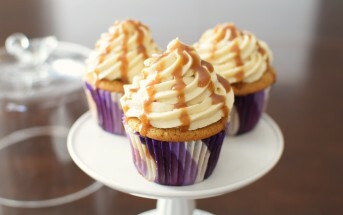 And would you believe that all of the baked goods were tested at both low and high altitude? I also include loads of everyday tips, and variations for recipes where I just couldn’t decide on one version. 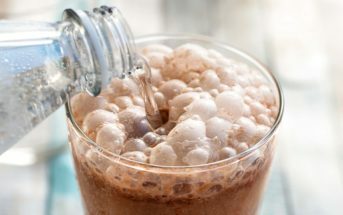 For example, the Chocolate Banana Split Muffins recipe includes variations for Unrefined Sweetener, Banana Blueberry Muffins, Gluten-Free, and High Altitude. The Shepherdess Pie has Veggie-Ful Vegan and Shepherd’s Lean options plus Make-Ahead tips And this Roasted Carrot Bisque recipe includes “Plain,” Curry, Smoky, Herb, and Sweet Potato cream soup variations. This wonderful Roasted Carrot Bisque is actually the cover recipe on Eat Dairy Free (with a Black & Blue Berry Crisps peek in the corner). It’s flavorful, nutritious, and also quite easy, despite the refined presentation. 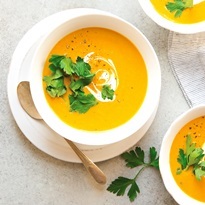 You can even roast the vegetables ahead for a speedy 10-minute carrot cream soup. Roasting brings out the natural sweetness of the carrots and adds a wonderful caramelized richness. 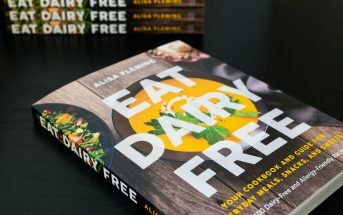 By ingredients, this recipe is dairy-free / non-dairy, egg-free, gluten-free, grain-free, nut-free, peanut-free, soy-free, plant-based, paleo, optionally vegan, and vegetarian. This simple soup is a great way to showcase fresh carrots, and it's a sample recipe from my cookbook, Eat Dairy Free: Your Essential Cookbook for Everyday Meals, Snacks, and Sweets. It's slightly rich, naturally sweet, a little rustic, and very comforting. Place the carrots, onion, and garlic on a large rimmed baking sheet, and toss with the oil and sweetener to coat. Spread the vegetables out into a single layer. Roast the vegetables for 30 to 45 minutes, stirring every 15 minutes. They should be soft and browned around the edges, but not burned. Let cool for 5 minutes. Place the roasted vegetables in your blender or food processor with the broth. 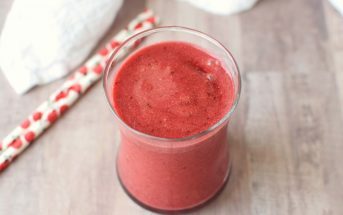 Puree for 2 to 3 minutes, or until relatively smooth. This may need to be done in two batches. Pour the carrot mixture into a large saucepan over medium-low heat. Stir in the coconut milk, desired amount of water to thin, salt, and pepper to taste. Cook until heated through. Ladle into bowls and optionally swirl with a little coconut cream or coconut milk and sprinkle with parsley. Curry - While heating in step 5, stir in 2 to 3 teaspoons of your favorite curry powder. Smoky - While heating in step 5, stir in ½ to 1 teaspoon of smoked paprika, or to taste. Herb - Garnish each bowl with 1 tablespoon of fresh chopped herbs, such as basil, thyme, or rosemary, or add the herbs to the vegetables during the last minute of roasting. Winter – For a creamier seasonal finish, substitute sweet potatoes or squash for the carrots. I’ve just printed this recipe out! Can’t wait to make it…there is just something about orange soup. Right? The vibrant color just draws me in every time. I hope you love it Jules!